Welcome car lover. 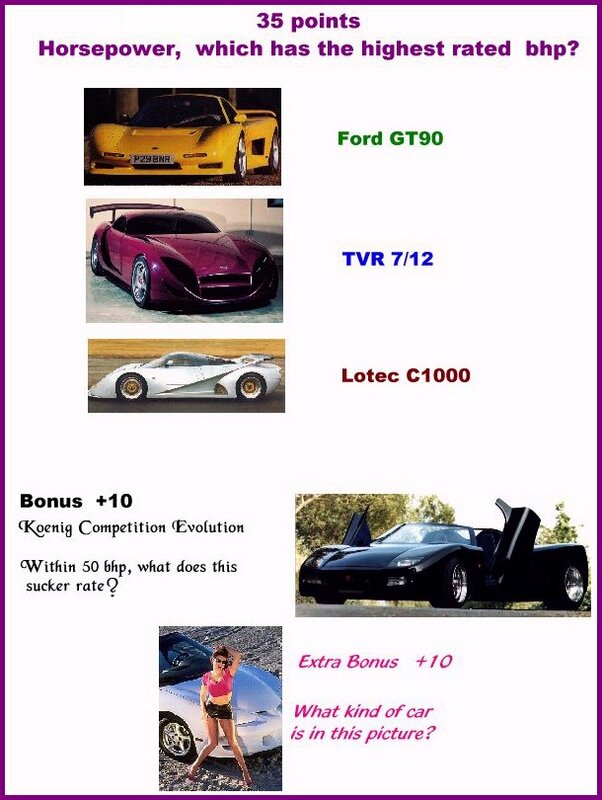 This is my little exotic car test. Below are three Question links to large JPG's. Each JPG shows pictures and asks questions worth points. After you view each JPG and note your answers, use your browser page back key to get the next question. When you have all your answers, put them all into an email to me. 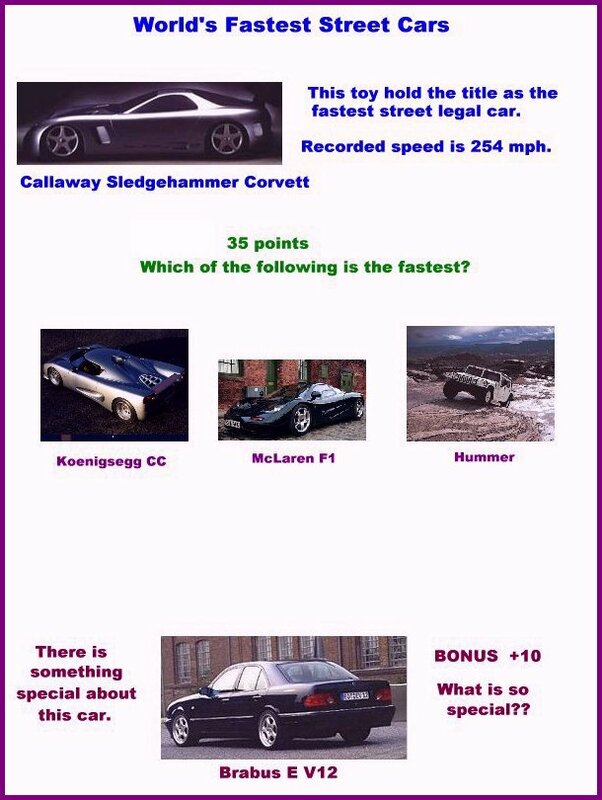 I will send you back the correct answers, if you are wrong, and tally up your score for Prizes. There is a possible score of 145 points. The level required and prize to be awarded, when you come to visit us, are as follows. Have fun and come visit us.